Lousie Fode & her boyfriend designed & built a beautiful 4ft x 4 ft chicken coop from scratch last season, assembling most of it in her garage, then moving it outside to add the final details. 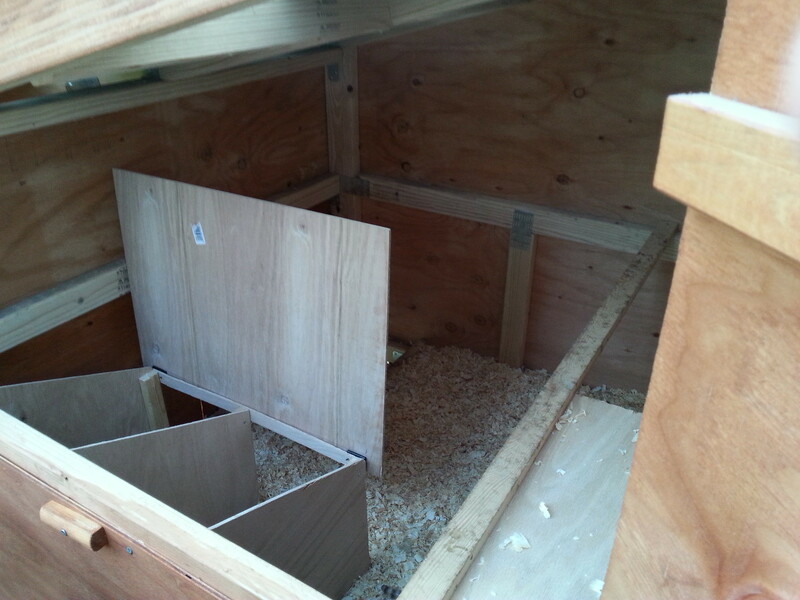 Once it was mostly built, she took a great video tour of the coop, narrating some of its most noteworthy features, like a functional drawbridge to keep her hens in or out of the coop. After the coop was moved outside, they stained the wood and added a few more finishing touches before the hens moved in. They added nesting boxes with a lid that flips up on the porch side, so Louise can be standing on her deck and collect eggs. Talk about farm to table! They also added a little board over the water container to prevent poop from falling in (pictured in the photo above on the bottom right corner). 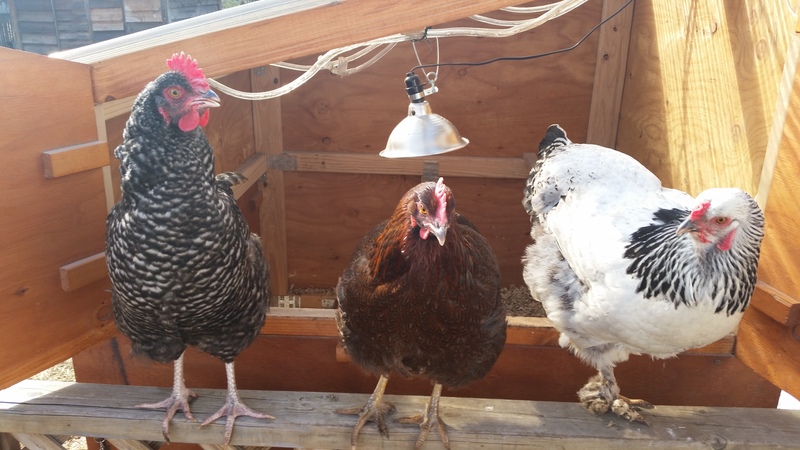 Lousie has 3 lovely urban hens, pictured below: George (left), Flower (center) & Marilyn (right). George is a Cuckoo Maran, Flower (Louise’s favorite!) is a Partridge Rock & Marilyn is a Light Brahma with fluffy feathered feet. Louise has two small dogs, who were initially very interested in the new feathered family members. 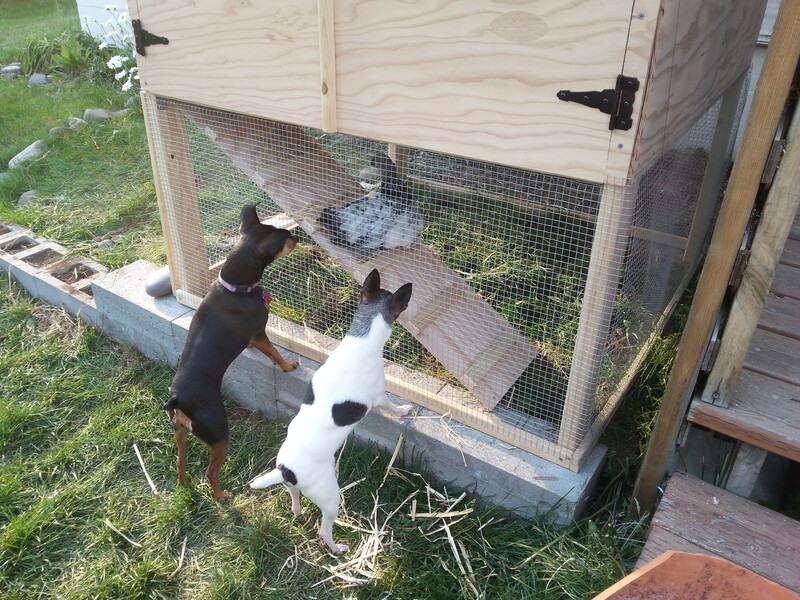 After spending more time around the hens, the dogs have lost interest in the chickens. It’s now a non-issue in her home – everyone seems to get along just fine, although the dogs aren’t allowed in the yard when the chickens are free ranging. As every backyard chicken owner knows, a coop is never totally done…we all like to tinker and toy with our setups, trying new things here or there! What has Louise tweaked since the coop tour video? Louise also mentioned her plans to build a bigger fenced area around the coop so her hens can spend more free time in the yard, but still feel safe. Currently, when Louise is outside, she lets the chickens roam around the yard as they please. But if she wants to let her backyard hens play unsupervised, she repurposes her moose-protector garden cages as makeshift chicken tractors (for fear of eagles & other aerial predators). While her current system seems to work well, assembling a larger fenced area is on her to-do list this summer. 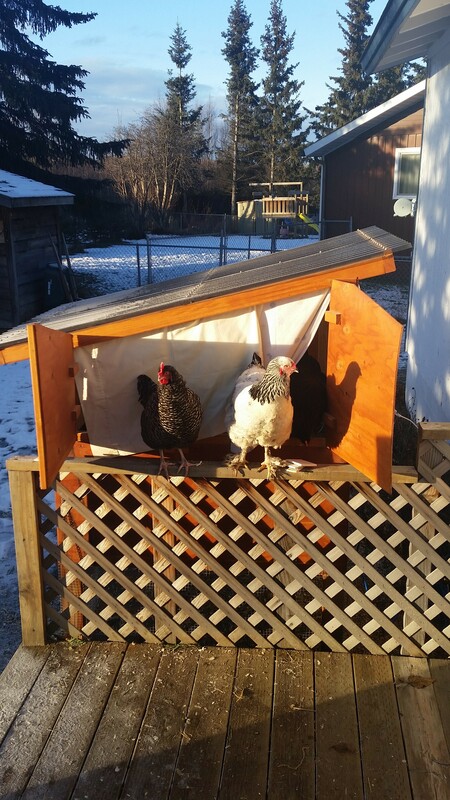 Thank you Louise for letting us take a look at your coop – inside and out! 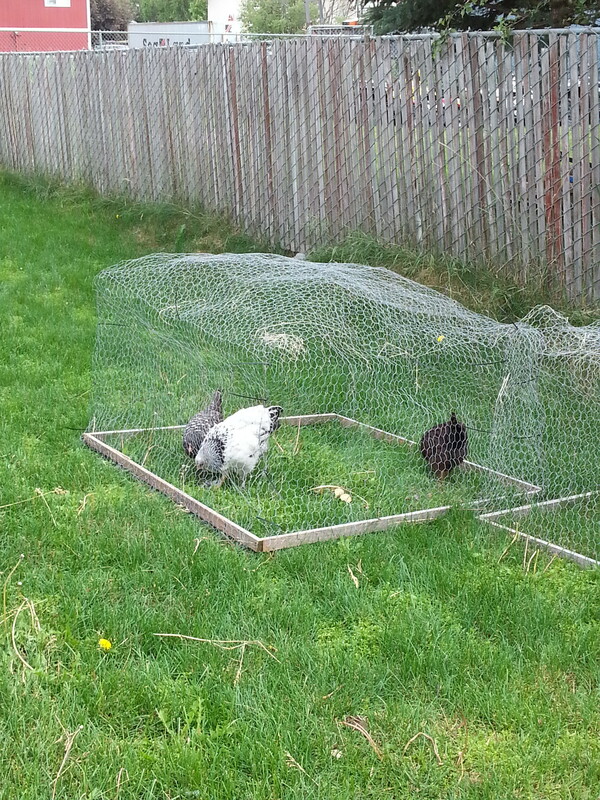 Your hens are beautiful and your coop is a mini chicken fortress, deserving of envy from across the land. Thank you for sharing your creativity. 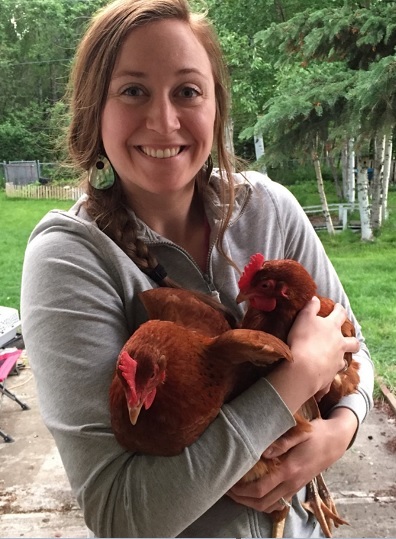 It’s always fun to see how other Alaska urban chicken owners have their flock setup, especially if you’re new to chickens and considering the best way to set up a coop/run based on your unique space. 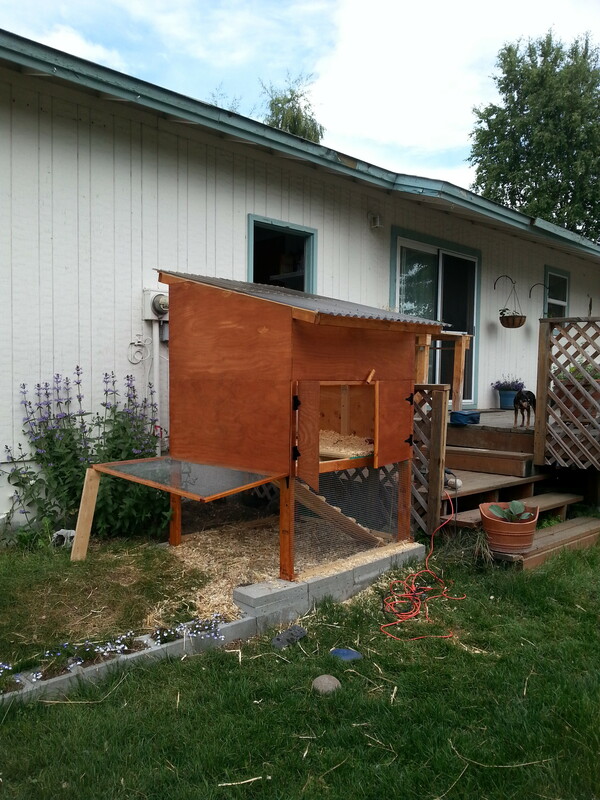 Larissa in Anchorage also has a cool backyard chicken coop, plus a dog, outdoor cat & children. 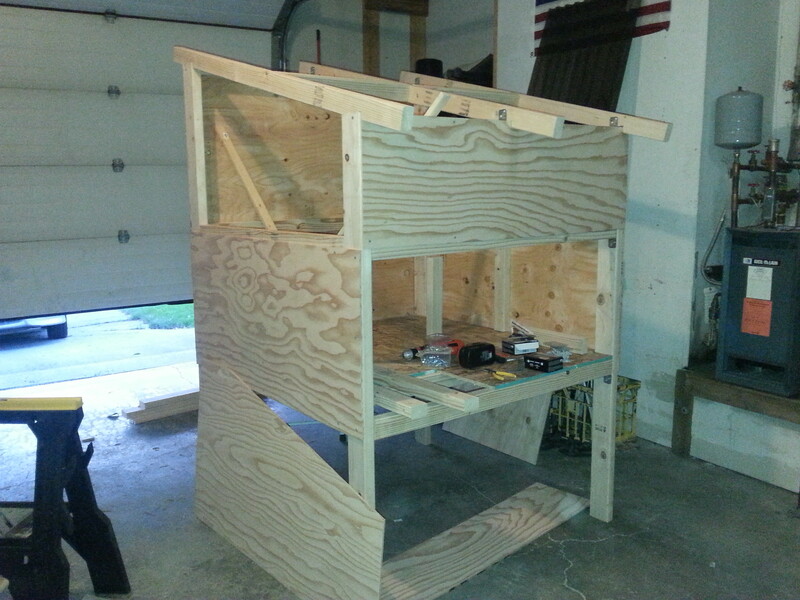 See Larissa’s urban coop setup here. If you live somewhere urban-ish and are interested in letting me do a feature blog post on your lovely ladies, please click here to contact me!